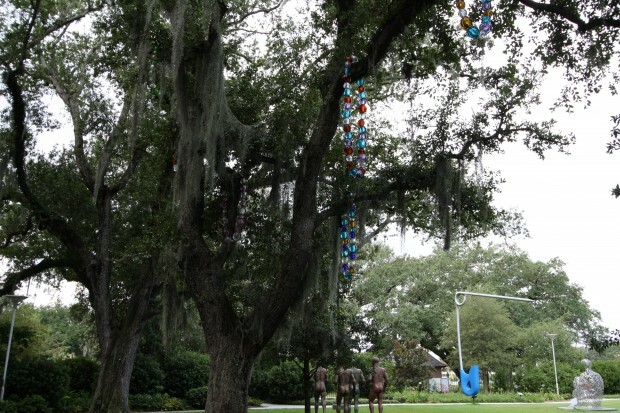 If you are looking for a way to escape the traffic, the noise and the pressure of everyday life in New Orleans, I can’t think of a better spot to slip away to than the City Park sculpture garden. 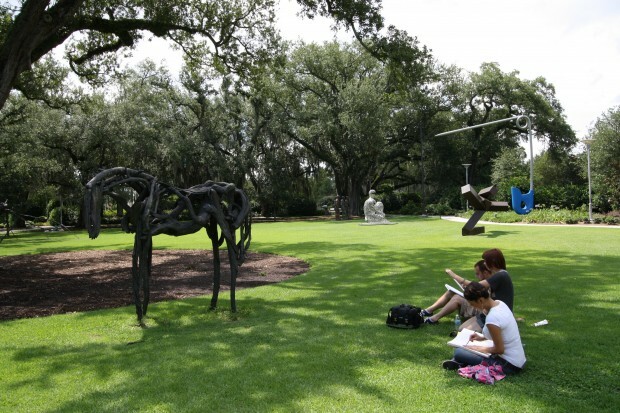 Winding paths lead you through the garden with beautiful views of lagoons and the New Orleans Museum of Art. Pedestrian bridges cross the lagoons and lead to the many seating areas scattered through the garden, providing you a spot to relax and enjoy your favorites. Take your time strolling through the shade of the massive oaks, but you need keep a keen eye out for art not just in the openings, but on the water and even in the trees. Did you spot the beads hanging from the branches? From the whimsical to the serious, the 60+ art installations span almost 5 acres of the landscape, attracting the attention of local amateur artists and students. It’s not unusual to find people lounging on the grass, drawing inspiration from their surroundings. The garden is open 7 days a week from 10 am to 5 pm (except holidays). Admission is free and audio tours are available.